Samsung has released its latest addition to the brilliant Note series – the Galaxy Note 5 – and we have been lucky enough to get our hands on it. Let’s unbox this highly sophisticated piece of phablet and explore its features. The first thing you will notice is of course the packaging, which has been changed from the fake wooden box to a clean and more elegant white color box. On the front, you could see “Samsung Galaxy Note 5” written in bold letters while at the back, the phone specifications are mentioned. The accessories inside include the Note 5 wrapped in a plastic cover, a tiny sim injection tool, earphones, USB charging cable, charger, and an extra set of S pen nibs. Holding the device, we noticed that the Galaxy Note 5 is lighter and less bulky than the Note 4. 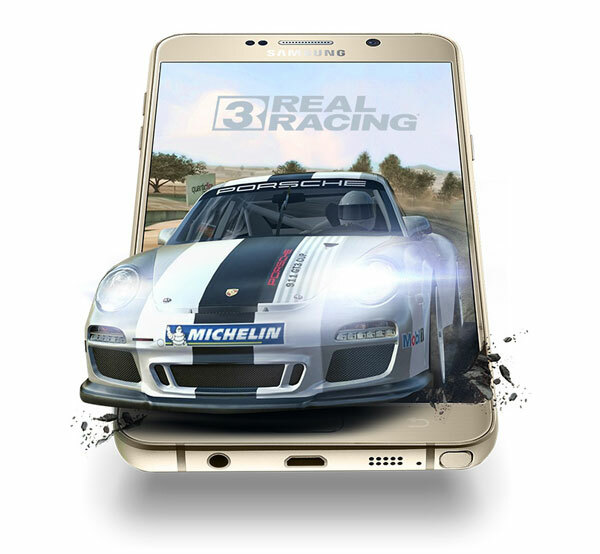 Covered in pieces of glass and metal, with an exceptional 5.7-inch Super AMOLED screen, we are not exaggerating when we say it is perhaps the most stunningly designed smartphone currently accessible in the market. The home button is now a fingerprint scanner, so you won’t have to swipe your finger to open the screen, just press it against the button. 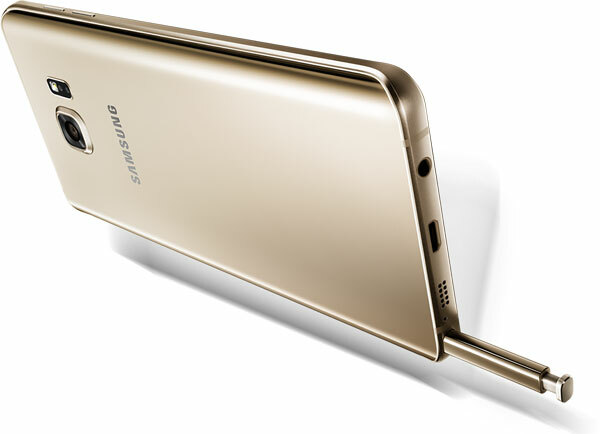 A slightly curved body around the edges and the glass-back makes the Samsung Note 5 similar to Galaxy S6. 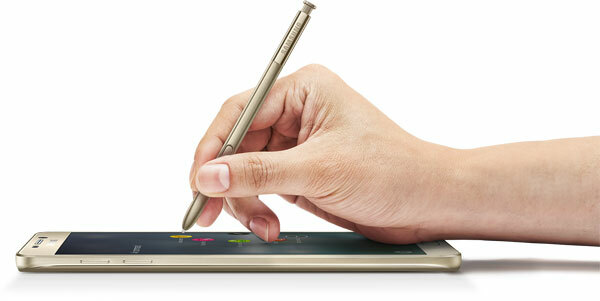 The stylus pen below can now be ejected by a click. The Galaxy Note 5 features some major upgrades compared to its predecessor, which include 4 GB RAM, Exynos 7420 octa-core processors, Non-removable Li-Ion 3000 mAh battery, 32/64 GB internal memory, 5 MP front camera and 16 MP back camera with 4K recording, fingerprint scanner and fast wireless charging (Qi/PMA).